Where are Spain's Most Famous Jewish Quarters? Spain was a land of promise for Jews in the Middle Ages, until the 1492 expulsion by the Catholic Kings (Reyes Catolicos). There is a number of towns and cities in Spain that are important to Jewish heritage in the country. There are famous Jewish quarters throughout Spain: from those in Andalusia's Seville and Cordoba to the ones in Catalonia's Barcelona and Girona, as well as one in north-west Spain's Ribadavia, not to mention those close to Madrid in Segovia and Toledo, you can find a Jewish Quarter to explore no matter where you are staying in Spain. What follows is a list of the cities that make up Jewish Spain, with details of what there is to see in each city. El Call is Barcelona's Jewish Quarter. Located between the Cathedral of La Seu, Plaça Jaume, and Plaça del Pi, it's an atmospheric area which offers a fascinating insight both into Barcelona's history and the story of Jewish people in Catalonia. El Call means "alleyway," and suitably, El Call itself is a small maze of narrow streets. The Jewish presence in Barcelona dates back to the 9th Century, although it was two centuries later when El Call was created. 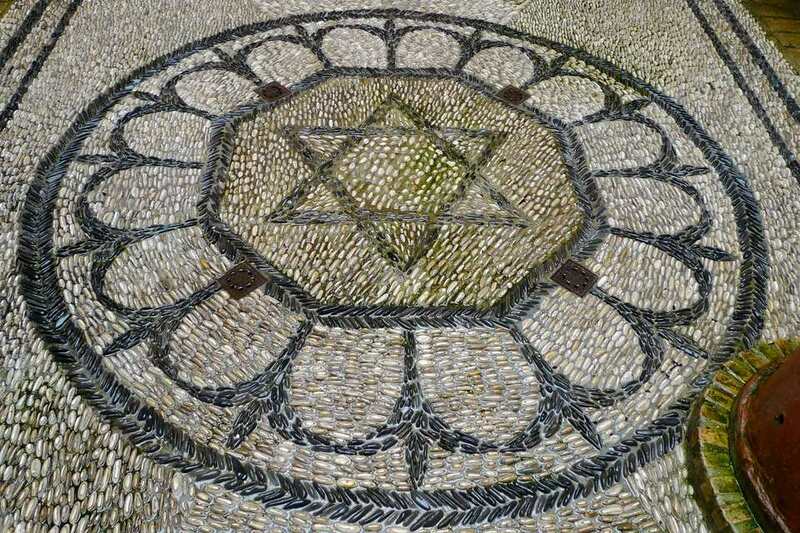 Jews were hugely influential in the emergence of Barcelona as a trading port of international significance during the medieval period and enjoyed the King's protection. Until 1391 that was, when the Jewish Quarter was attacked and Jewish privileges rescinded. An interesting spot here is the Centre d'Interpretació del Call. This is a museum dedicated to the history of the Jewish Quarter. It's in a 14th Century house called the House of the Rabbi and conserves rare period details in its architecture. Also of interest is an ancient synagogue, the Synagoga Mayor, believed to be one of the oldest in Europe, dating back as far as the third century AD. It has been restored by the Associació Call de Barcelona and is open to the public. The Jewish quarter in Girona is also called the 'Call' and is one of the best preserved in Europe. The streets of Carrer de Sant Llorenç and Carreró, Travessia del Dr Luis Batlle and Carrer del Dr Miquel Oliva make up the main part of the Jewish quarter here. Torre Gironella is the famous refuge of the Jews during troubled times. What Else is There to See in Girona? Girona is a classic medieval walled city that is great to aimlessly wander around in. It is close to the city of Figueres, home to the Salvador Dali museum. Girona is on the high-speed rail line from Barcelona to Paris (the train also serves Figueres). Barcelona also has a famous Jewish Quarter. Toledo had one of the largest Jewish populations in Spain. A good place to see the old Jewish quarter is from the Mirador de San Cristóbal. The quarter stretches from Calle Taller del Moro as far as the city walls at the Puerta del Cambrón. Two of the city's ten synagogues still survive as they had been converted into churches following the expulsion of the Jews - the Sinagoga del Tránsito (now a museum) and the Sinagoga Santa Maria la Blanca. Ask for more information on Jewish Toledo at the museum in the Tránsito synagogue. Toledo is one of the most popular day trips from Madrid, famous for its city walls and cathedral. Take the high-speed train from Madrid to Toledo and you'll be there in 30 minutes! The old Sinagoga Mayor is now the Corpus Christi church and marks the start of the Jewish quarter, which stretches from there to the Canonjía. The tourist information center in Segovia has a lot of good information on the city's Jewish quarter, including recommended routes through the district. Segovia is a great day trip from Madrid. It has a 2,000-year-old Roman aqueduct and a fairytale castle (think Bavarian or Cinderella's). Take the high-speed train from Madrid: it takes under an hour. However, it's worth popping in to Avila on the way to see the fabulous city walls. This detour can't be taken by train and to fit both in a single day, you'll probably want to take a guided tour. Cordoba is almost seen as a little brother to nearby Seville, but in terms of its Jewish heritage, it's the main city in the area. But with the two cities just 40 minutes apart by train, it makes sense to visit the two on the same trip. Córdoba's Jewish quarter is one of the most famous in Spain. The whitewashed walls of the district just north of the great Mezquita mosque is one of the most popular sights in the city. The streets of Tomas Conde, Judíos and Plaza Juda Leví make up the majority of the Jewish quarter (in Plaza Juda Leví you can find the municipal tourist office with lots of information on the Jewish community in Córdoba). The 14th-century synagogue in Córdoba is the only one in Andalusia and the only synagogue in Spain that was never turned into a Christian building. Other important sights in the Jewish Quarter include a bull museum and a monument to Jewish philosopher and doctor Maimonides. Cordoba's number one sight is its Mosque-Cathedral, which has served the city's other two faiths for centuries. Cordoba is on the high-speed train line from Madrid to Seville, particularly close to the latter city, which makes visiting from Seville a great idea. Plus, Seville has an important Jewish quarter of its own to visit. Cáceres had two Jewish quarters, each with a synagogue. The Judería Vieja (Old Jewish Quarter) had its synagogue where the San Antonio hermitage stands today. The synagogue of the Judería Nueva (New Jewish Quarter) stood on c/Cruz, but no longer stands. Tudela had two Jewish quarters, the Juderia Vetula (around c/San Julián) and the Juderia Nueva (along Paseo del Castillo) and once had three synagogues, though no one is entirely sure where they were. The Jewish quarter begins around La Plaza and goes up to the river, where you will find a number of small winding streets. It consisted of the streets of Call del Vado, Calle Amistad Judeocristiana and Calleja de los Cofrades, but most of the original Jewish buildings have long been in the hands of other religions. The synagogue was on Calle del Rabilero. Ribadavia's Jewish heritage is quite well preserved. There are a number of festivals in Ribadavia that have Jewish origins - the Festa da Istoria, the Boda Judía and performances of Sephardic music. The synagogue would have been on Plaza de la Magdalena. Ribadavia is a good place to get information on Jewish Spain, as the Network of Jewish Quarters in Spain and the Sephardic Information Center of Galicia are both in this town. The Catalan town of Tortosa has a strong history of both Muslims and Jews. The Jews in the town occupied an important position in the town as early as the eighth century, when the town was occupied by the Muslims, as they were able to provide a link between the Christians and the Jews. When the Christians liberated the town in the 12th century, the Jews received the Muslim shipyards. The new Jewish quarter, founded in the 13th century, is still well preserved to this day, occupying the streets around Major de Remolins.